Take 42% off the entire course. Just enter code slwittig2v into the discount code box at checkout at manning.com. 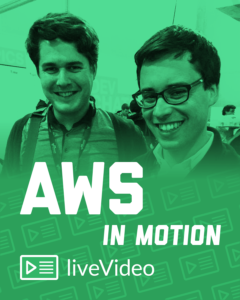 AWS in Motion guides you through your first steps of deploying a web application on AWS, teaching you the basics of the AWS ecosystem. You’ll start by setting up a free AWS account, and then you’ll learn how a typical web stack runs and scales in the cloud in a manner that can beat any physical data center! 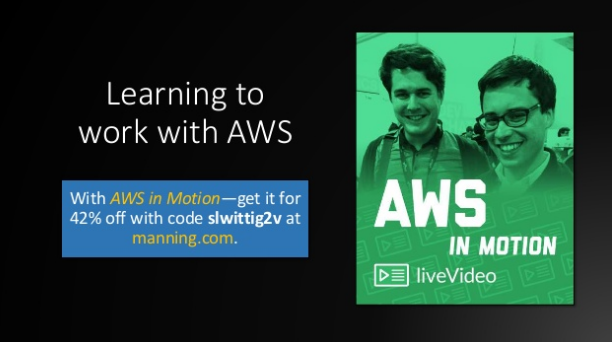 In nearly 3 hours of easy-to-follow video lessons, you’ll explore the many services available in the AWS ecosystem. Check out the slide deck below to find out more.